From one of the nation’s most trusted experts on children’s bedtime and nap time comes a new guide for sleep-training twins so that everybody (including Mom and Dad) will be rested and happy! Sleep-training twins presents a unique set of challenges. This invaluable guide will not only get your babies to sleep through the night but help you stay healthy and rested so you can enjoy the many blessings of having more than one! 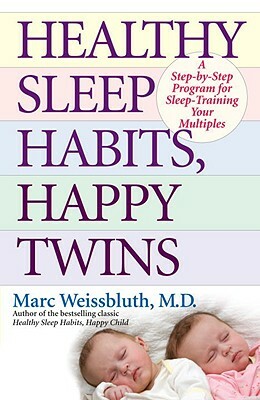 MARC WEISSBLUTH, M.D., a pediatrician with thirty-five years of experience, founded the original Sleep Disorders Center at Chicago’s Children’s Memorial Hospital and is a professor of clinical pediatrics at Northwestern University School of Medicine. He has lectured extensively to parent groups and has appeared on The Oprah Winfrey Show. Weissbluth lives in Chicago, Illinois.